If tennis isn't quite the love of your life, if the American President's visit really Trumps you off or if the World Cup just isn't the same without The Three Lions and It's Coming Home memes, then fear not, we have the perfect distraction for your weekend. Hot off the baking success of our Peanut Butter Power Bites and Banana Bread recipes, we bring you the latest in our customer recipe series, Peanut Butter Chocolate Chip Cookie Dough courtesy of our big fan, Mimi (@Mimimazine1). Who doesn’t love Cookie Dough? Especially, when it is this easy and nutritious. 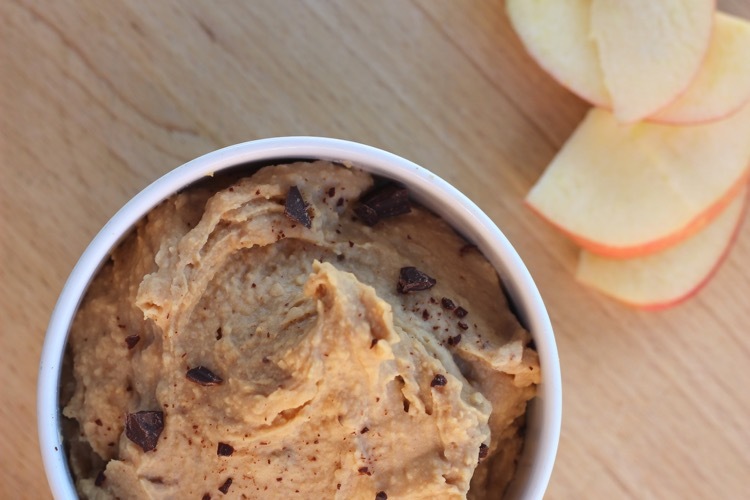 Yes, cookie dough just got an upgrade! This recipe is perfect for those who don’t want to use chickpeas but still get a great consistency with their raw cookie dough. Vegan, sugar free and full of fibre and protein. This recipe ticks all the boxes. Drain the cannellini beans and rinse thoroughly. Add all the ingredients apart from the chocolate to a blender and blend. Add small amounts of almond milk as required. You are looking for a smooth but firm consistency. Mix in the chocolate chunks. Place in the fridge to chill for at least 30 mins before serving. Or if you are feeling adventurous, heat up the cookie dough in the microwave for 1-1:30 minutes. You will not be disappointed! Warm, comforting gooeyness at its best.